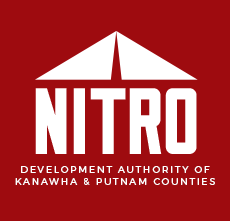 The Nitro Development Authority (NDA) promotes the economic development within the City of Nitro. Our key purpose is to encourage and assist in the locating of new businesses and to promote the expansion of existing businesses. Our goal is to provide maximum opportunities for employment. Working in conjunction with federal, state and local entities to promote and advance industrial, commercial, agricultural, and recreational developments in our area. The goal of the NDA is to promote the business growth and development of Nitro. Provide maximum opportunities for employment, encourage thrift, and improve the standard of living of the citizens. There is always something to do in Nitro.